This game was offered for purchase at McDonald's restaurants for $5 or $10. 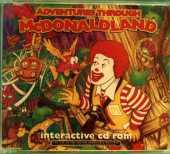 It was a computer based version of the annual "McDonald's Big Book of Fun" printed calendar. The game was aimed at children between the age of three and ten years old. In 1998 it was re-released under new Mission to McDonaldland title.